Die AnStifter (The Instigators) is a citizens‘ project in Stuttgart, Germany, which has been standing up for democracy, peace, and tolerance and fighting against antisemitism, racism, and xenophobia for more than 20 years. We are the largest civil society organization in southern Germany. 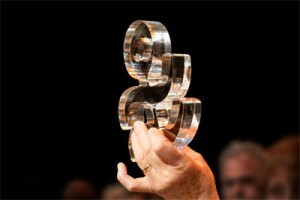 Since 2003 we have conferred the annual Stuttgarter Friedenspreis (Stuttgarter Peace Prize), which is worth 5000 Euros. Die AnStifter was founded in Dresden, Saxony by comedian and political activist Peter Grohmann in 1993 in response to the official commemoration of the bombing of Dresden planned for 1995. Grohmann protested that such a commemoration must incorporate a remembrance of those who suffered and died in the Theresienstadt concentration camp just 80 kilometers away. Nowadays the range of our engagement has become much wider: Some of our current topics include standing up against right-wing terrorism, climate change awareness and post-growth society, the peace movement, diversity and philosophical debates. In Stuttgart, Germany, we are working as a network of networks, bringing together different kinds of organisations and people during common events, lectures, rallys, demonstrations and cultural activities. The Stuttgarter Friedenspreis (Stuttgarter Peace Prize), worth 5000 euros, is awarded annually to persons or organisations that are committed to peace, justice and a solidary world in a special way. 2018: Emma González, student and activist against gun violence. 2013: Enio Mancini and Enrico Pieri, Survivors of the Nazi massacre in Sant’Anna di Stazzema, Italy. For years they have been advocating the judicial review of the Wehrmacht crime and international understanding. 2012: Aktion Aufschrei – Stoppt den Waffenhandel! Alliance of Peace and Development Organizations that have been working together for a fundamental ban on German arms exports. 2010: Werner Baumgarten, AK Asyl, the asylum working group expresses its solidarity with refugees through practical help and political commitment.